Wyn for over thirty years has been the main contact between the race organisers and relatives of riders who are injured whilst racing on the 4.25-mile course which has hosted the races since 1955. “Wyn is well respected throughout the whole motorcycling community for her endless devotion to the welfare of all concerned with motorcycle racing on the Island and further afield. 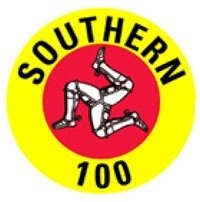 Wyn along with her husband Des have been involved with the Southern 100, Manx Grand Prix and TT Races for many years, Des having for many years been Chief Travelling Marshal for all three events. Wyn is also the Isle of Man Centre ACU Benevolent Fund Officer.